solar level. Sanat Kumara, “Lord of the World,” resides in Shamballa, another dimension parallel to the one in which we live. The Buddha, the Bodhisattva, and Manu serve there as well. The Seven Rays govern all earthly life, each ruled by a different master. They have appeared from time to time throughout history. We know them by such names as Krishna, Jesus, and Roger Bacon. Now the organization presently called “Theosophical Society ” does not belong to any school related even indirectly to doctrines of this kind. Mrs Blavatsky, could have had a more or less deep knowledge of the writing of certains theosophists, especially Jacob Boheme, and she may have picked up of his ideas which she then inserted into her own writing but with a lot of others elements of varied origins.. The theosophycal society has just a pretention to esoterism and none of the characteristic just described, moreover it presents its esoterism in a false way as of eastern origin adding to it a strange pseudo-christianity. 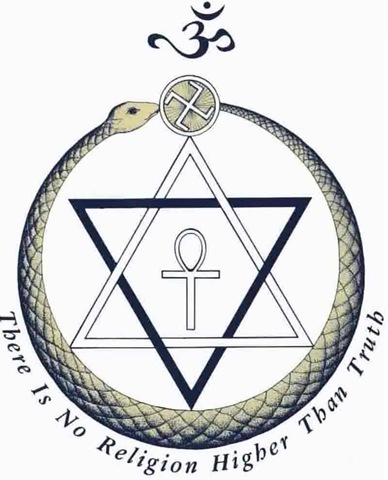 So, between theosophical Society and theosophy in the true sense, there is absolutely no filiations, not even in the levels of ideas..Indeed the doctrines professed by the theosophical society are wholly modern and so different from those to which the name theosophy legitimately applies, they are simply a result of dishonesty and ignorance, dishonesty of the heads of the society and ignorance of the majority of those who follow them, we should not forget also the ignorance of their adversaries, who being insufficiently informed, commit the error of taking the leaders ‘ assertions seriously and believing that they represent an authentic eastern tradition..